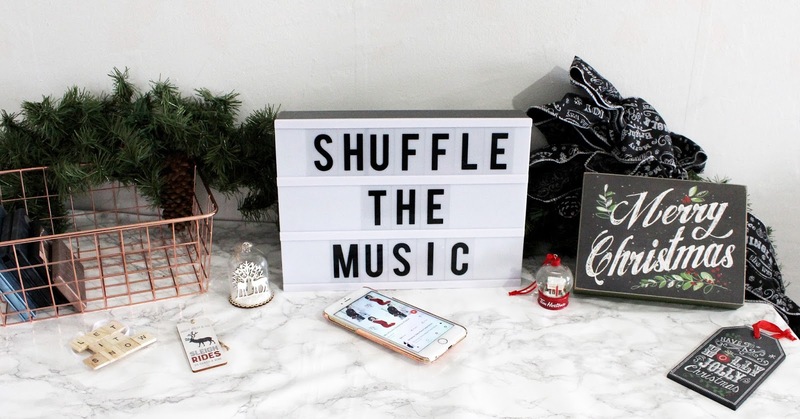 I did the Shuffle the music tag in October and I had the wonderful idea to do a Christmas version for Blogmas! I have a huge Christmas playlist so I'm going to put it on shuffle and write about each song that comes up. Just like the original tag! 1. 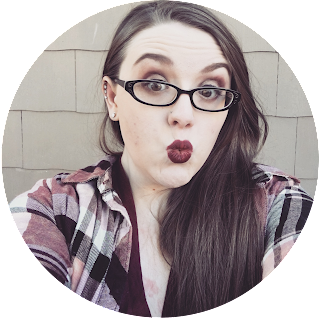 Thank the person that tagged you and link to their blog. 3. Mention the songs as well as the artists. 4. Tag 7 people or more to do this tag and please let them know! Now obviously I came up with this version so I don't have a blogger to thank. So we can get straight into the songs! How fitting this song came up first! This is quite possibly my favorite Christmas song! It's not very popular here in the states so I've only heard it a few years ago. I really loved it and it always makes me smile! I have to dance to it when it comes on! This song brings back so many childhood memories! 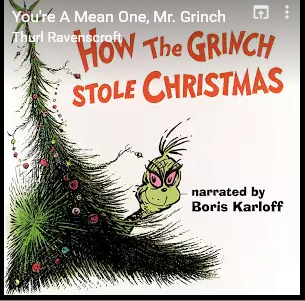 I love watching The Grinch every year! I usually watch the 2002 Jim Carrey version rather than the older cartoon because I just love the craziness that is Jim Carrey! This song is so fun to sing along to! I love listening to this song! I love this version and Michael Buble's cover! 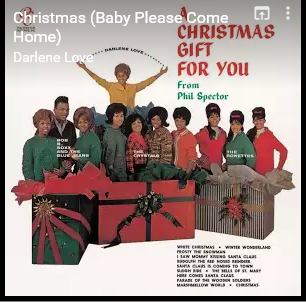 I will listen to Mariah's cover but I like Darlene and Michael the best! This song is so perfectly named! It really does make me feel all Christmasy! All warm and fuzzy! I love the original and I love Michael Buble's cover too! I have heard so many different versions of this song over the years but this one is my favorite! 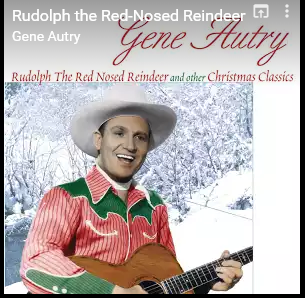 This one doesn't have any stupid added bits and I love Gene Autry's voice! 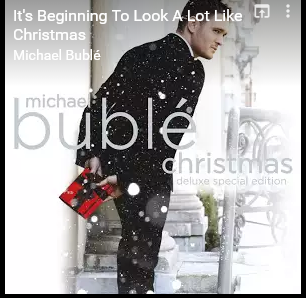 Speaking of Mr. Buble! 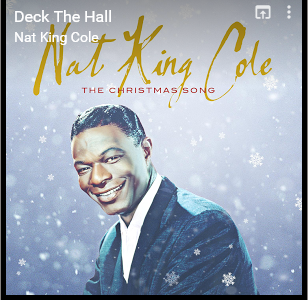 I adore his Christmas Album so much! Have Yourself A Merry Little Christmas is one of my top Christmas songs! I love Michael's cover! I also love listening to Frank Sinatra sing it! 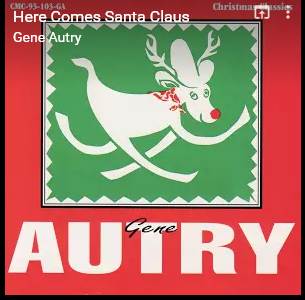 I think of Christmas Vacation every time I hear this song! It plays during the opening of the film and it always makes me feel like Christmas!! I just love the rhythm! 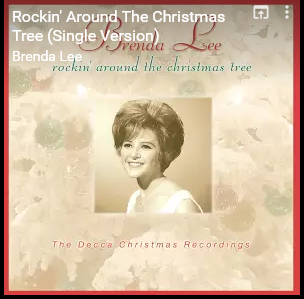 This is one of my favorite Christmas songs of all time! It really makes me feel Christmasy cheer! I love to play it when the snow falls for the first time! I also love to play White Christmas and Winter Wonderland when the snow falls! We did dance for this song during our Christmas choir performance in the 7th grade and I still remember it! If I'm able to I still do the dance when the song comes on! 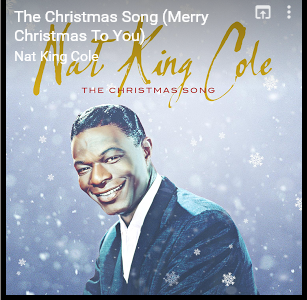 This song always puts me in the Christmas mode! It always makes me think of the Macy's Parade. It played a lot when I was a kid and it gives me such Christmasy Feels! I love this song! This is another song that was in my 7th-grade choir performance. We didn't have a full-on dance but we did have actions with our hands. I still remember them and do them almost every time I hear the song! This is 100% my favorite Christmas Song when it comes to the instrumental! I love it! I'm not really sure what it is about it. 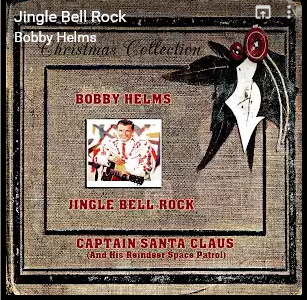 But it is my favorite Christmas song to use as background music! 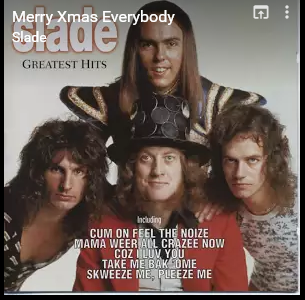 I love Christmas Music so much!! What are your favorite Christmas songs?